Team Hillary, which includes the corrupt and seditious hierarchy of the Obama DOJ and FBI, actually thought they could get away with everything. Hillary would win, Trump would be in the dock, and they would get away with everything from using the Clinton Foundation as a corrupt pay-for-play cash cow, to lying to the FISA court to conduct surveillance on American citizens, to real collusion with the Russians to transfer to them 20 percent of the raw material for Nuclear weapons, our Uranium supply. 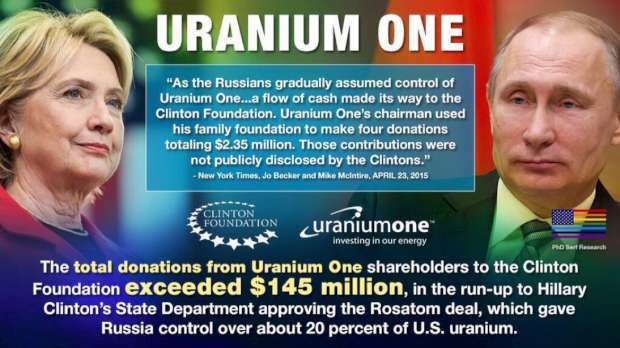 An FBI informant connected to the Uranium One controversy told three congressional committees in a written statement that Moscow routed millions of dollars to America with the expectation it would be used to benefit Bill Clinton's charitable efforts while Secretary of State Hillary Clinton quarterbacked a “reset” in U.S.-Russian relations. The informant, Douglas Campbell, said in the statement obtained by The Hill that he was told by Russian nuclear executives that Moscow had hired the American lobbying firm APCO Worldwide specifically because it was in position to influence the Obama administration, and more specifically Hillary Clinton. The rise in School Shootings. Campbell added in the testimony that Russian nuclear officials “told me at various times that they expected APCO to apply a portion of the $3 million annual lobbying fee it was receiving from the Russians to provide in-kind support for the Clintons' Global Initiative." “The contract called for four payments of $750,000 over twelve months. 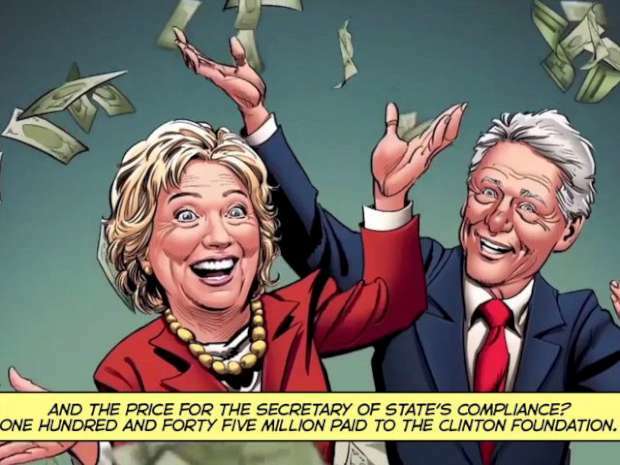 APCO was expected to give assistance free of charge to the Clinton Global Initiative as part of their effort to create a favorable environment to ensure the Obama administration made affirmative decisions on everything from Uranium One to the U.S.-Russia Civilian Nuclear Cooperation agreement."